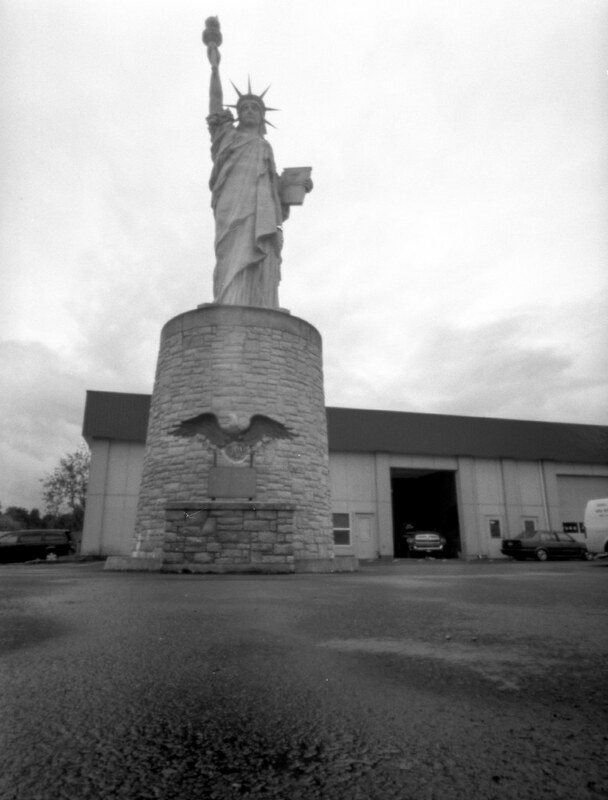 I’d driven by this for three years before it was brought to my attention: a replica of the Statue of Liberty in the parking lot of a small business park in Milwaukee (a city just south of Portland). My husband finally told me about it and pointed it out to me. It took three drive-bys before I actually saw the thing, hidden away behind industrial buildings. And now it is impossible to not see it. It is just so THERE. 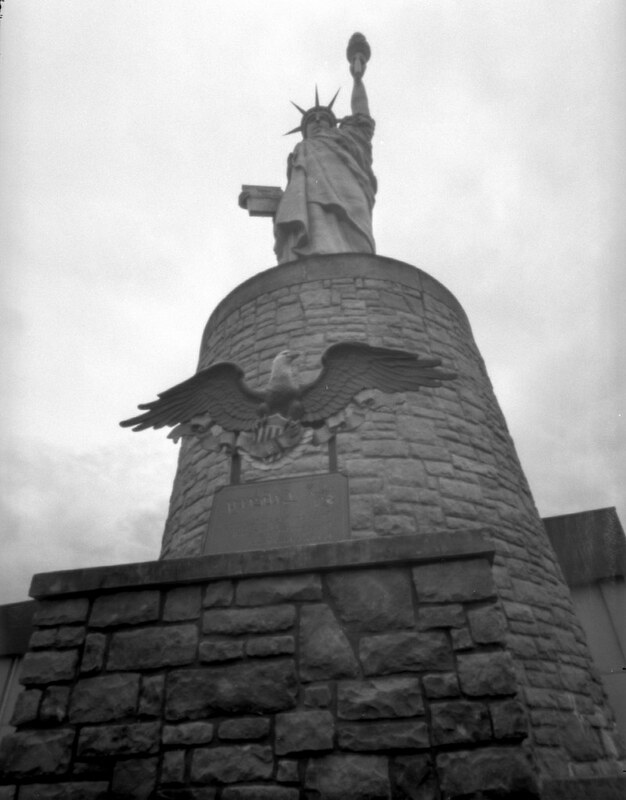 The business owner of the strip mall, where the Statue of Liberty is located, is of Middle Eastern descent. He purchased this statue to show everyone how much he loves America. Unfortunately, when it was delivered, he broke one of the spires off of her head and then accidentally set her on fire while trying to put her in position. The fire was quickly put out, the spire was reattached, and the 31-ft. beauty was placed on her perch high above “Rent-n-Roll.” With her stand, she is about 50+ feet tall. If you happen to find yourself in Milwaukee Oregon and would like to see it, it is located on McLoughlin Blvd. From Portland, take 99E (which turns into McLaughlin). It is located on the right side of the road in front of an auto-repair shop. It is between the intersections of SE Roethe Rd and SE Boardman – Or at least somewhere around there. 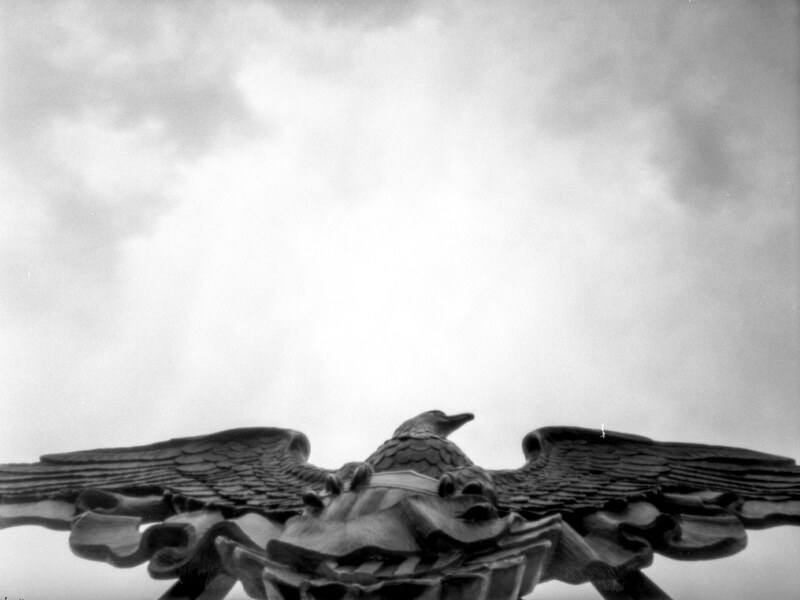 These were all shot with my Terrpin Bijou and Fuji Acros 100. That is pretty amazing, what a find. Thank you very much for your likes, and for not giving up on me…..
I’ve bee truly hopeless this last year, and it ain’t over quite yet….. Gah…..
oh my gosh, Marie! I would never give up on you! I love your work! 😀 Thanks for taking the time to stop by and visit Pinhole Obscura! I totally understand the whole “life getting in the way” thing. It can be so annoying sometimes! Love your recent photos. They are really beautiful! Have a lovely weekend Moni!